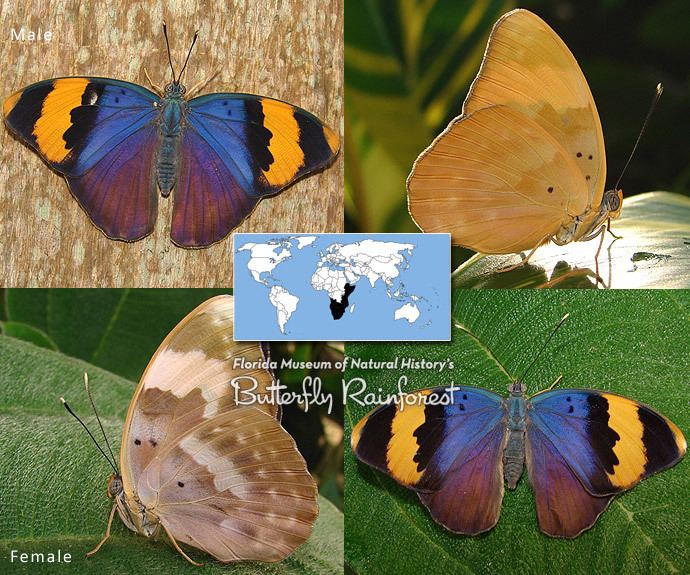 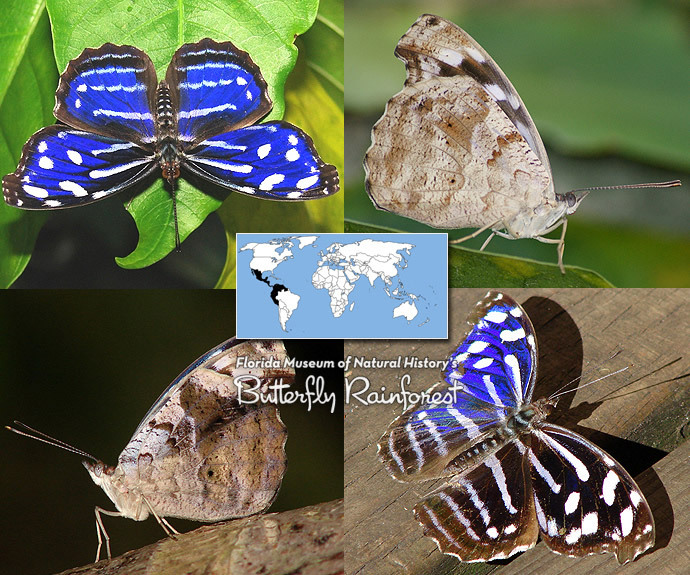 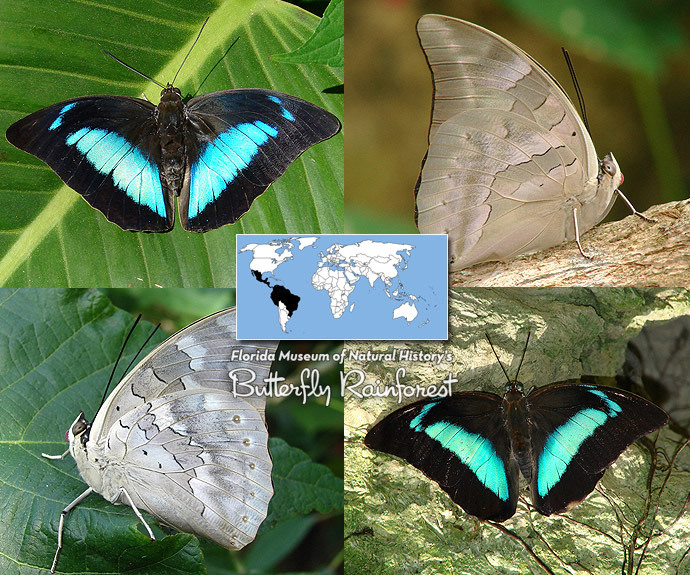 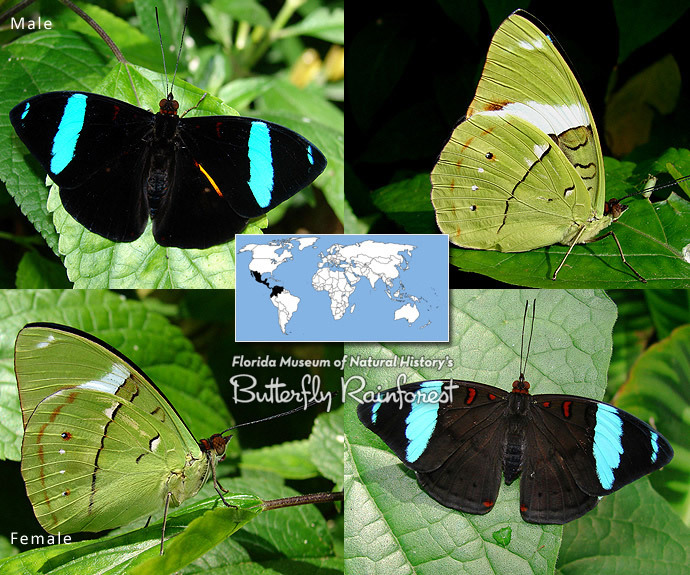 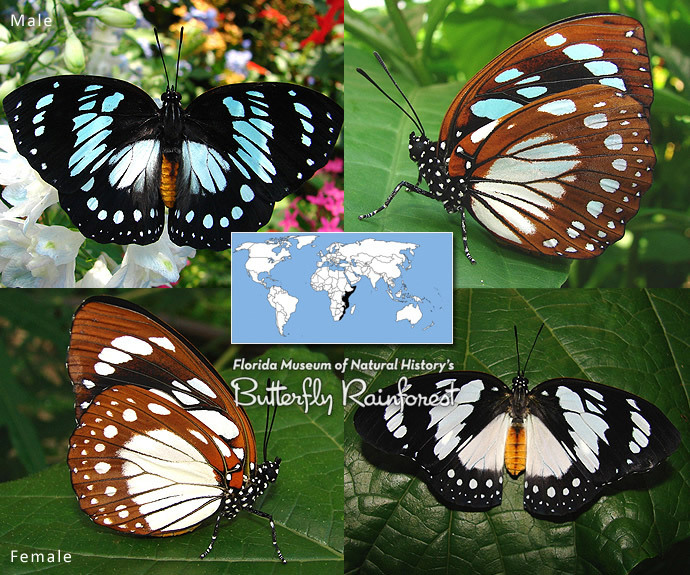 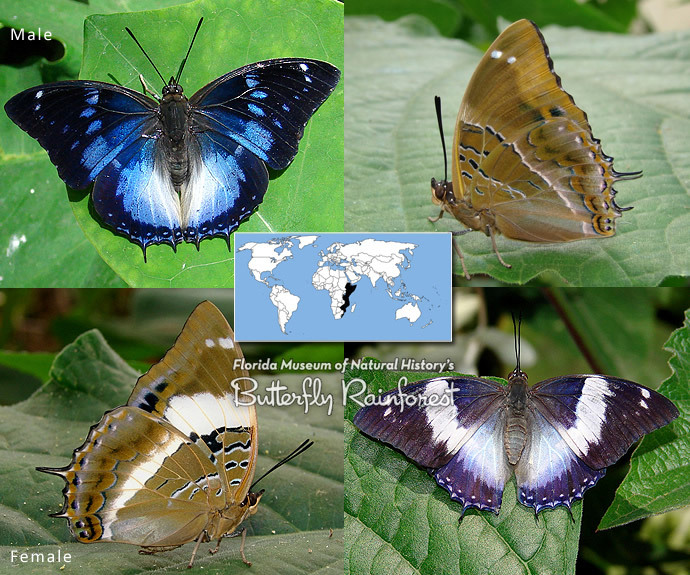 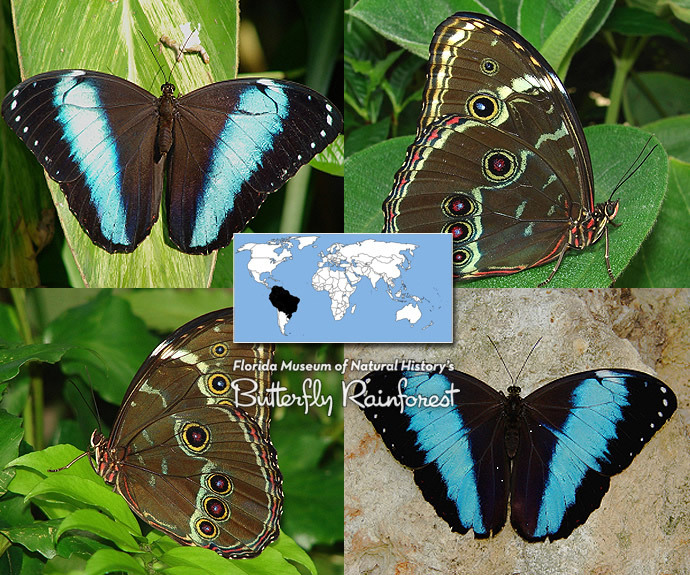 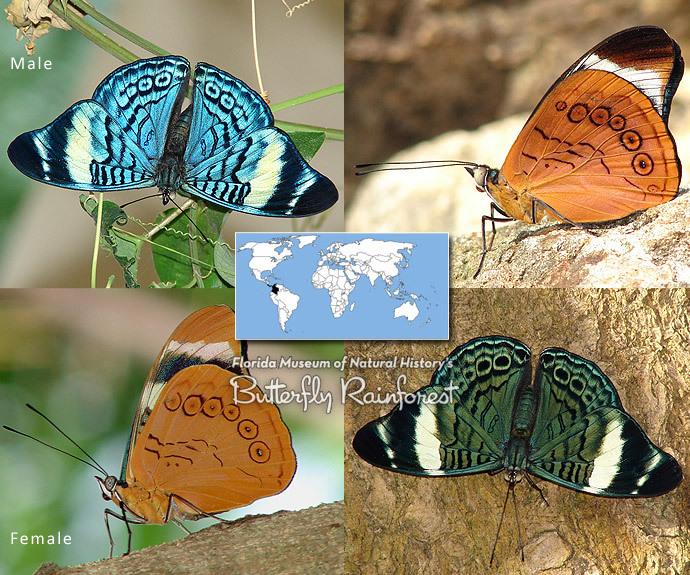 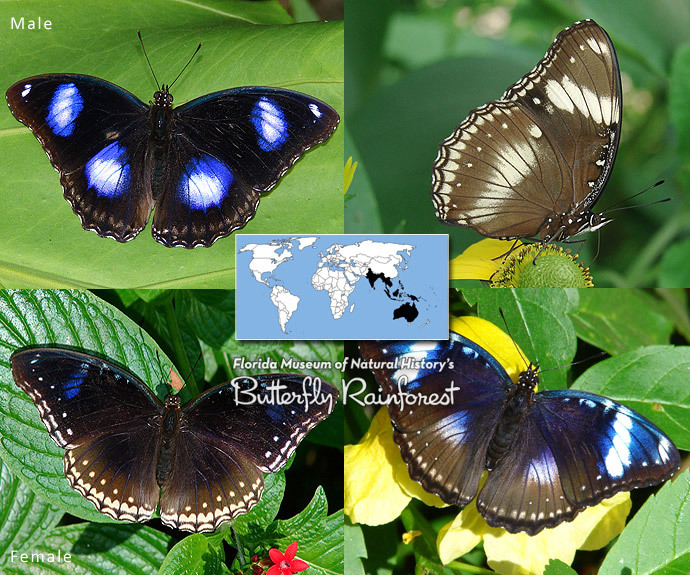 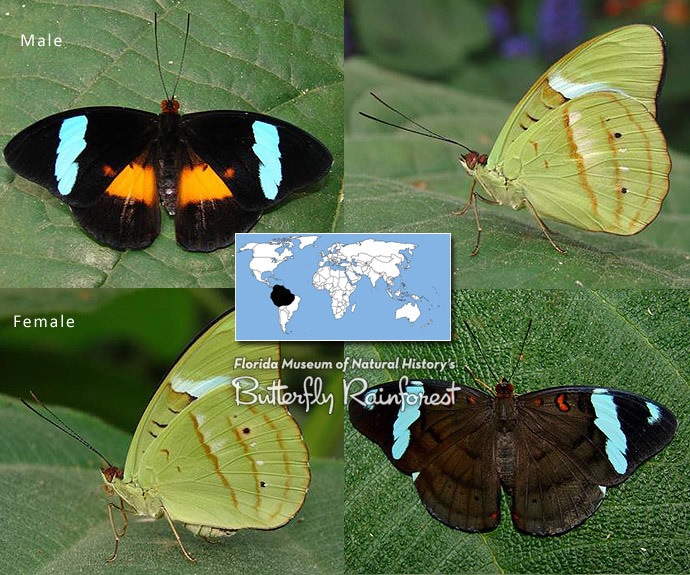 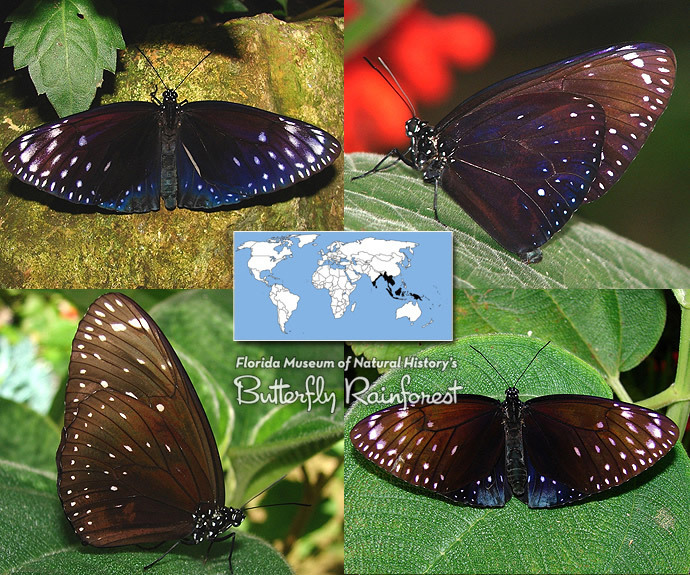 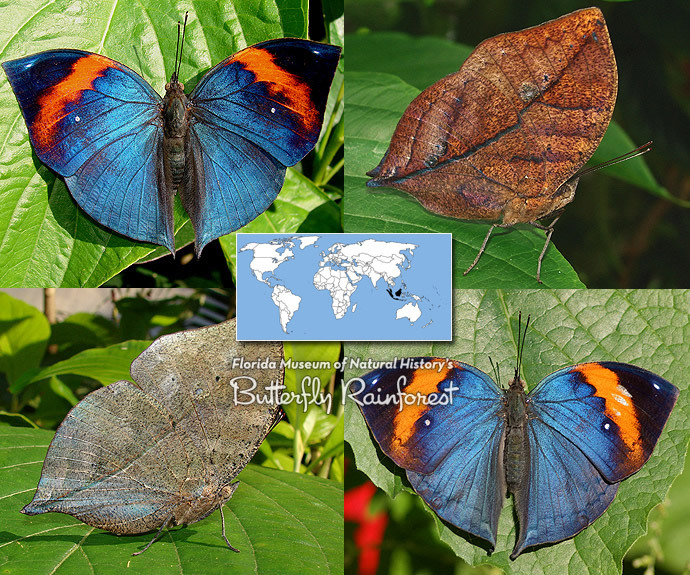 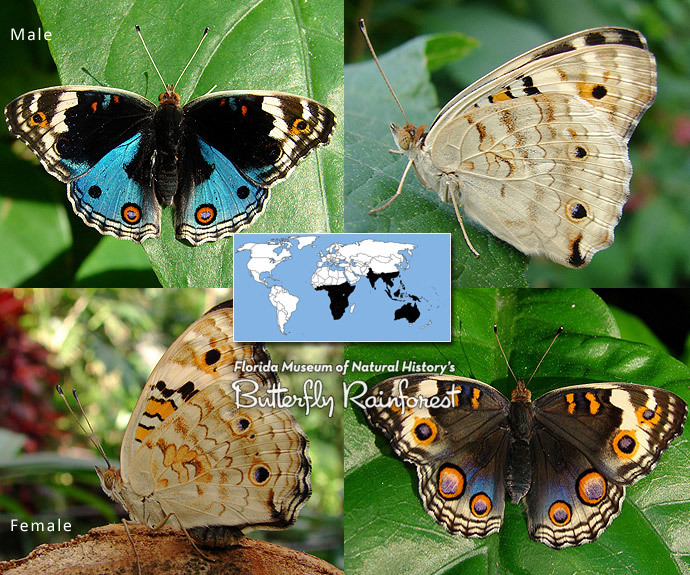 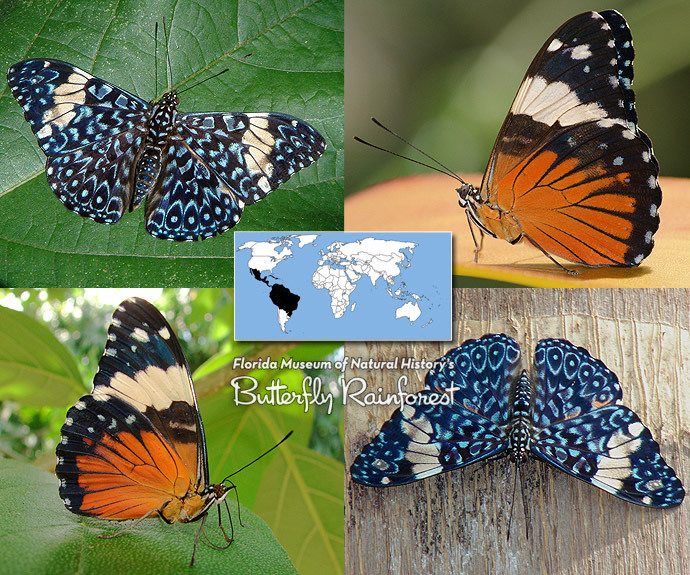 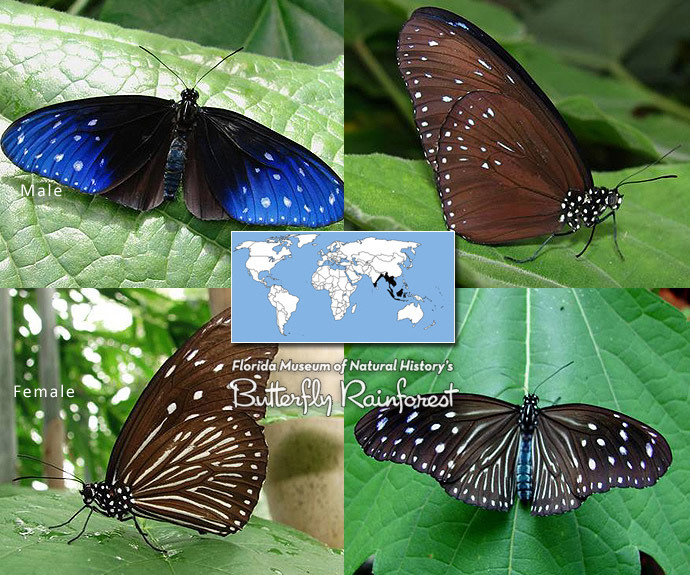 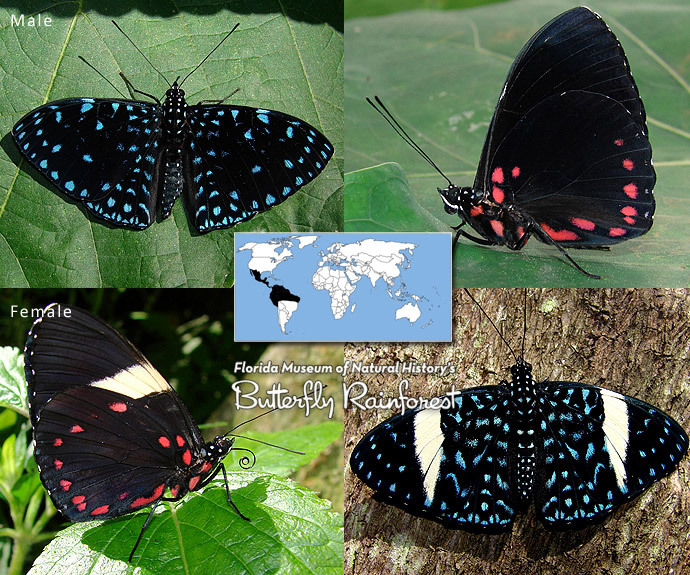 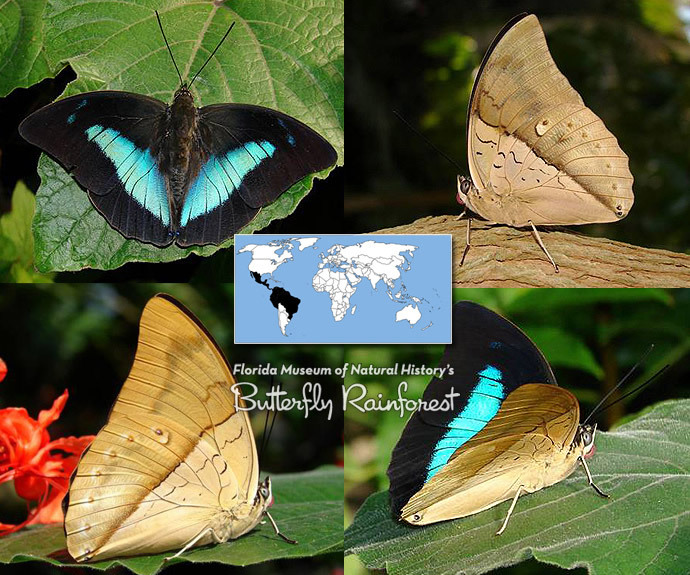 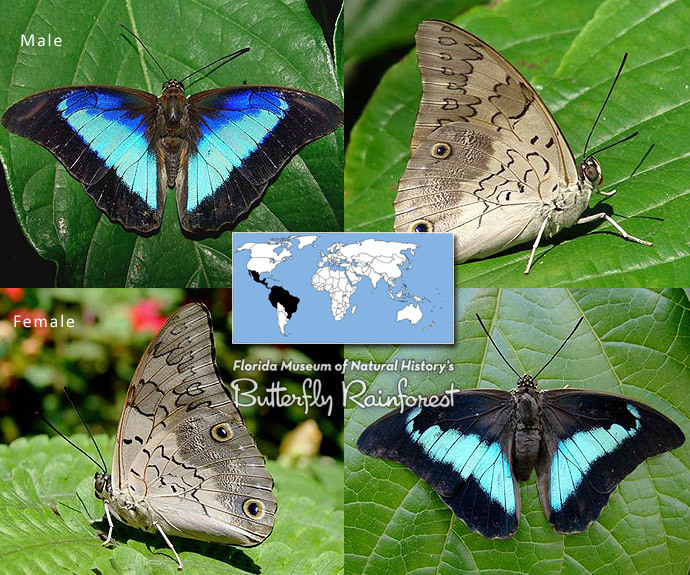 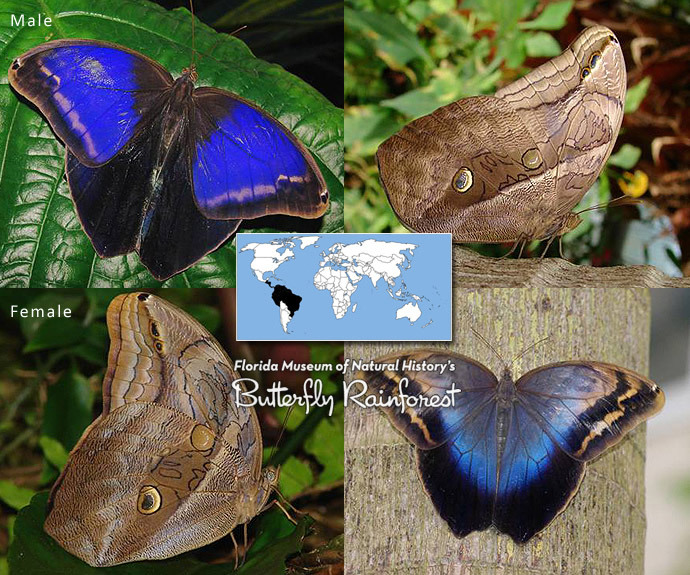 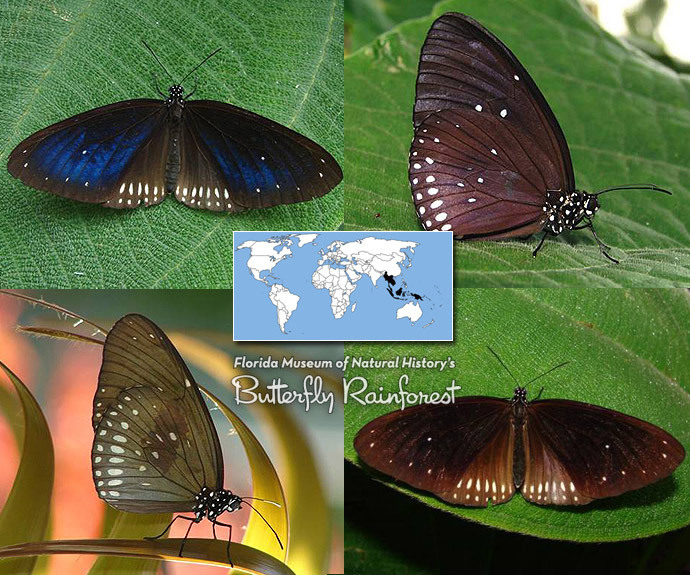 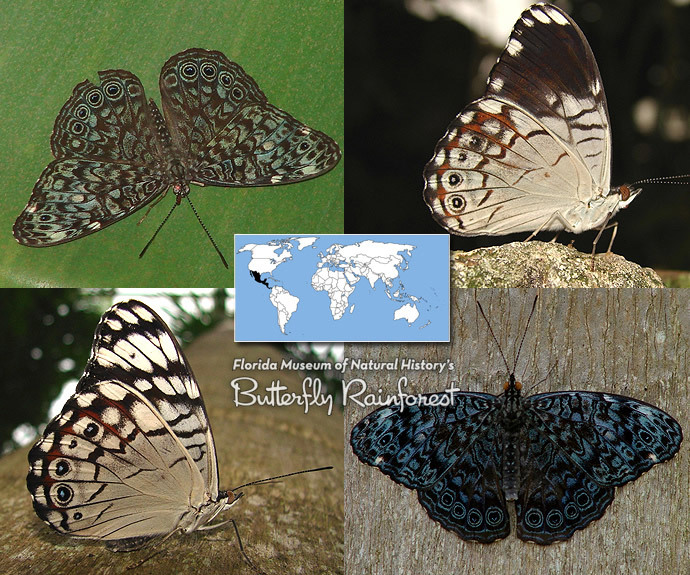 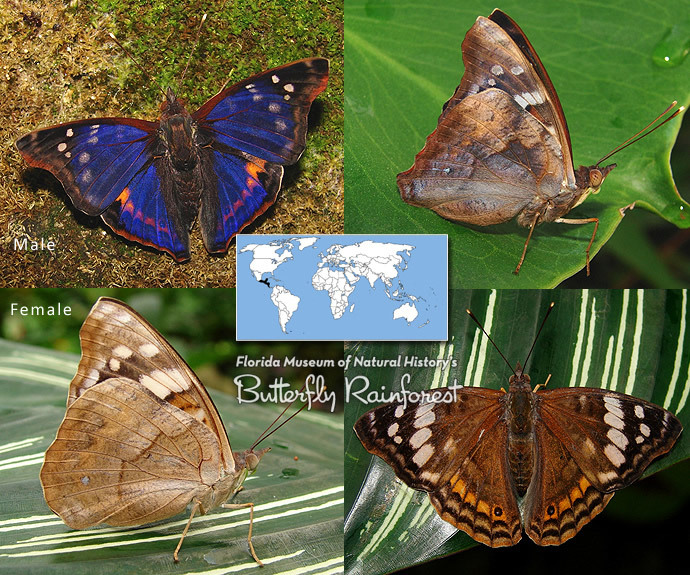 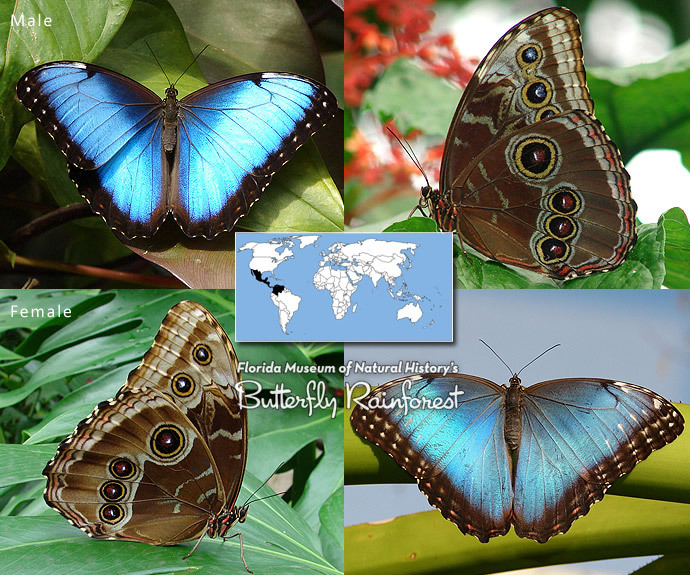 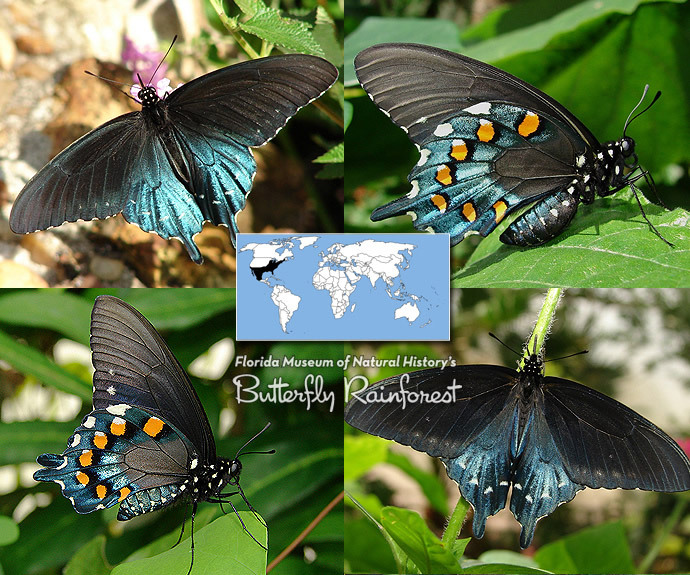 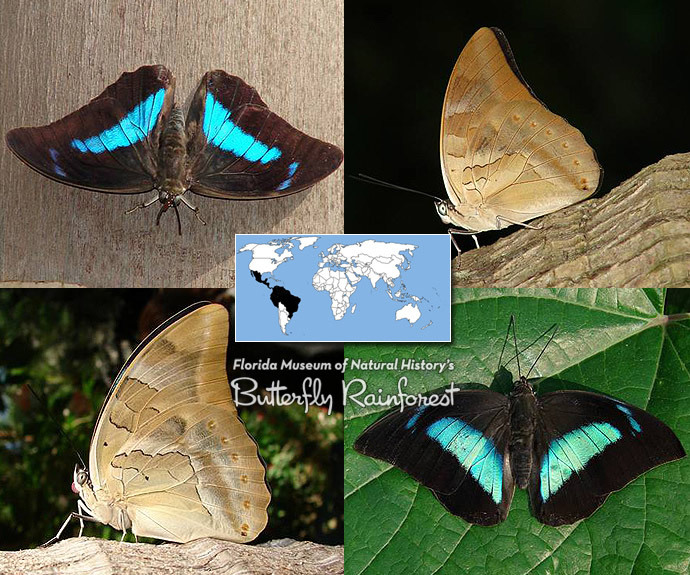 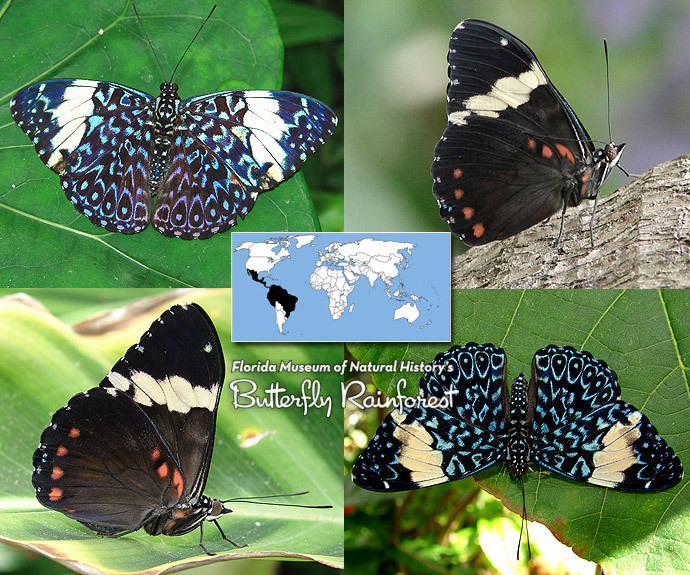 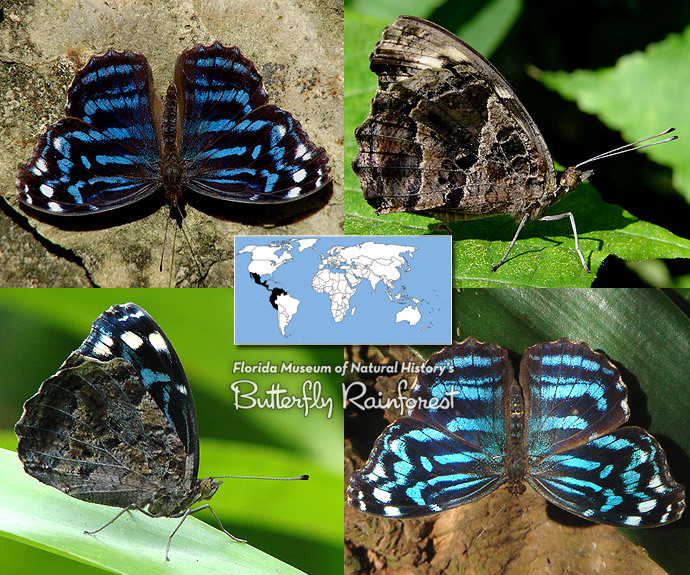 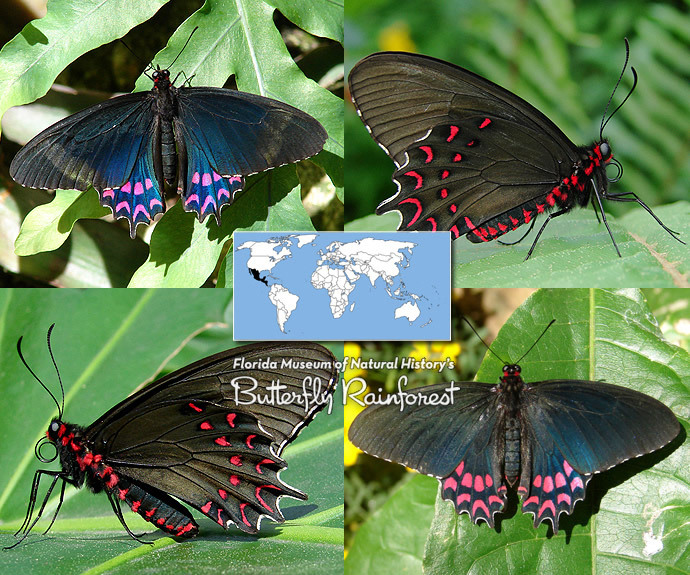 Note: This identification guide only includes butterflies found in the Museum’s Butterfly Rainforest exhibit. 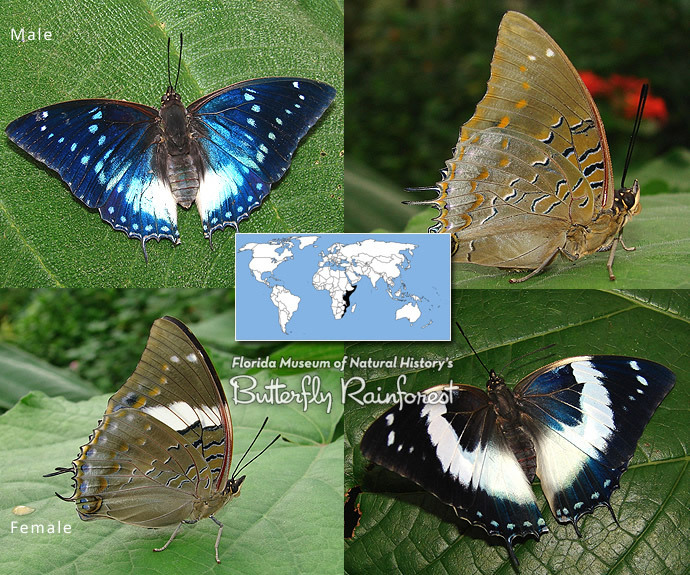 It is not intended to cover all species worldwide. 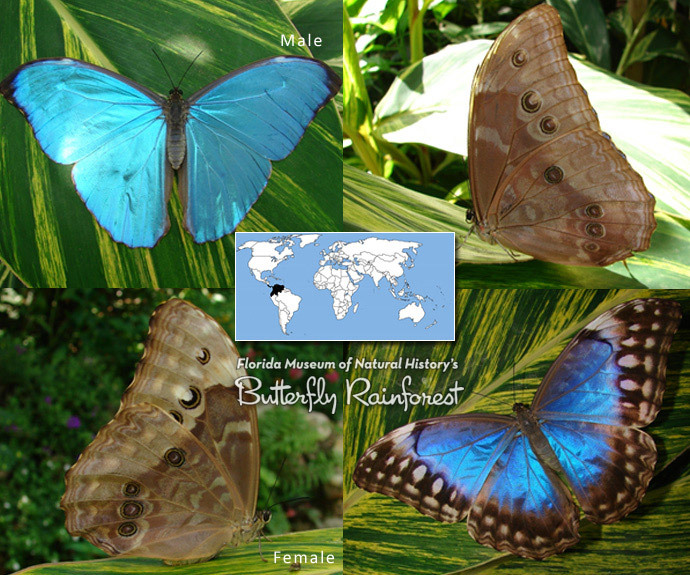 Some species look completely different if viewed from the top or bottom sides of the wings and are included in more than one section. 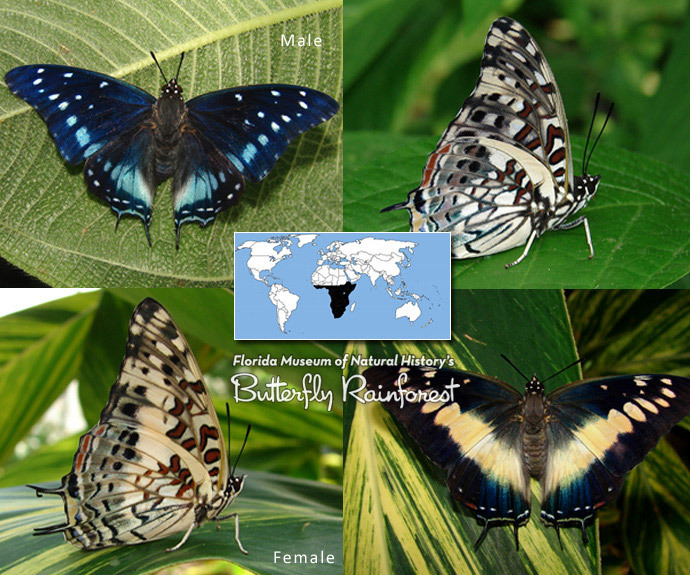 Each species’ range and wing size also is included, but this information is a rough generalization and not always completely accurate.